I have been wanting to post this for a long time. For people who have never been inside a submarine, here is a look at the inside of the two types of submarines that are in service with the IN. 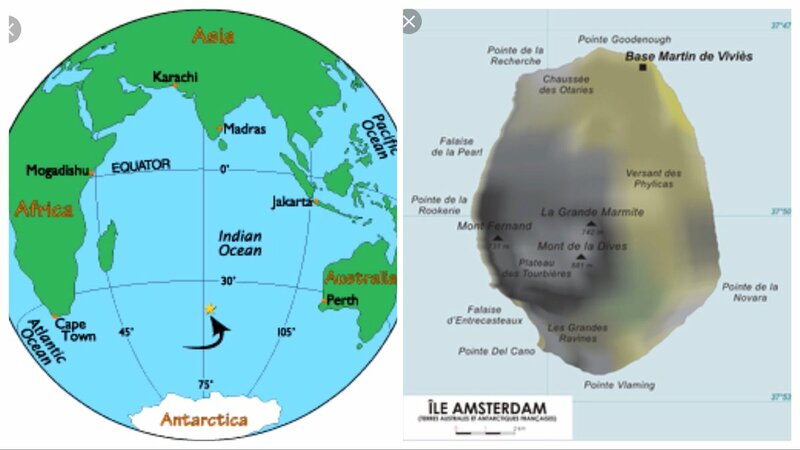 Singha wrote: these roaring forties and furious fifties have very tall seas and high winds in IOR - use for 100s of years by sailboats looking to move faster. clipper ship route from london to australia and back. winds blow west->east so they took the chile route back to london...the dreaded waters and icy storms of cape horn. Thanks for the trivia Singha, very useful to know that these desolate waters were once used. We also need to get to know these waters well, it is the Indian ocean after all. I am super thrilled that Cmde Tony has been recovered - he is indeed a hero, and his quest should continue. We need to have a strategic coverage of all waters due south of us, and these are steps to get us started in that direction. ^^^ Was that really the P8I ? Must have been flying really low and slow or must have some amazingly stabilized zoom camera. But which sub do the Yanquis fear most? Not a U-209, but the Kilos, esp. the latest variants which can carry Klub/ Kalibir missiles far more lethal than either US Harpoons SSMs or French Exocets.Talk to Indian submariners who've served on both classes and you will get a better picture and comparison of the two. Perhaps it is because those are the primary adversary systems out there and the German subs aren't? But then the US learned a lot about Soviet submarine capability from Captain Ramius. The approx. total refit of the 4 U-boats will eventuallu cost around $350M+ to extend the life of them by another decade.Why the refit couldn't be undertaken by MDL is a v.moot Q as 2 were built by it! HSL has refitted a Kilo - though it took a lifetime to do so and is trying to get the remaining Kilo upgrade/refits instead of them being done in Russia.The only problem even after the refit is that these subs will be able to carfy the legacy subsonis sub- Harpoon which Pak has had for 2 decades! The Kilos carry the far superior Klub with its Mach 3 terminal warhead and in future once BMos NG arrives, that too. PS: Media repirts say that Dassault is pushing the Rafale-M for the IN regardless of the controversy about the deal fof the IAF.France is looking at new carrier options beyond the CDG which will still use the Raffy- M and in the future a naval variant of the Franco- German stealth fighter under consideration. Featuring a length of 83.3 meters and a width of 9.6 meters, the new diesel-electric air-independent propulsion submarine can accommodate 50 people. The boats are also fitted with vertical launch tubes capable of firing the new, domestically-designed Hyunmoo-3C cruise missiles. https://twitter.com/SJha1618/status/1044869492495589378 ---> Hindustan Shipyard Limited, Vizag, has signed a contract with the Indian Navy for delivering two diving support vessels (DSVs). Each DSV will be 118 m in length and will displace about 7,650 tonnes. Both ships will also host a deep submergence rescue vessel (DSRV) each. https://twitter.com/SJha1618/status/1044869755931381760 ---> The two DSRVs are being supplied by James Fisher Defence of the United Kingdom. The first DSRV has already arrived & the second one is expected to be delivered by the end of this year. We already have the expertise of sub VLS tech. with the ATV programme and thus need nothing from So Ko whose subs owe a lot to German tech, most being licence-built U- boats.It would be far better getting original German tech. through the G-2-G route, esp. the AIP system.This should be incorporated onto the existing 4 U- boats. https://twitter.com/SJha1618/status/1049258726144630784 ---> BTW, the Government of India has approved the installation of a submarine optical fibre cable link between Chennai and Port Blair. This is expected to greatly boost high-speed broadband availability in the Andamans. Japan's Nippon Electric Company will execute this project. Reason give of boosting internet traffic is nice. 3 indian ships which were in singapore for a friendly visit have been loaded with supplies purchased in singapore and sent on to Palu Indonesia for disaster relief . with some 6000 islands, logistically its a challenge to move supplies and people around in indonesia....mostly the coasts are populated and interiors are rugged mountains. all those who helped in the rescue from isle amsterdam were hosted onboard INS satpura and thanked by the captain. the ship has arrived back in india with our man. being a scientific outpost, that cake would go down well vs the usual canteen stuff. The company will build a robust integrated communications network that would provide a secure, reliable and seamless digital highway to the Indian Navy for administrative and defence operations. the beeline of ships making a straight line from indonesia to australia north is apparently their largest iron ore exporting port - mostly destined to china looking at the vector, but to other parts as well. its like a desert version of some of the alaskan resource export roadheads like prudhoe bay. The Indian Navy has spotted a Chinese attack submarine in the Indian Ocean, the first such sighting since last year’s Doklam border standoff, said an official familiar with the development. The Chinese navy has deployed a submarine, a Type O39A Yuan class boat, in the ocean for the first time in over a year. China claims that such deployments are in support of its anti-piracy operations in the Gulf of Aden. The submarine is accompanied by a rescue vessel. In an interview to HT in May, Navy chief Admiral Sunil Lanba said the People’s Liberation Army-Navy (PLAN) is here to stay in the Indian Ocean and its military movement had fuelled concerns about China’s intent in the region. The navy keeps a sharp eye on the pattern and periodicity of extra-regional deployments in the Indian Ocean Region. A fleet of 50 combat-ready Indian warships is carrying out round-the-clock surveillance of the waters. At any given time, China has six to seven warships deployed in the region. The PLAN is known to send two conventional submarines to the area every year, Lanba had said. Navy officials have maintained that anti-piracy patrols and freedom of navigation are the reasons cited by China for its rising presence in the region. FYI...this is for the HDW 209, Type 1500, Sishumar Class boats. The Indian Navy and HENSOLDT took a new Periscope Repair Facility at Naval Dockyard Mumbai, India into commission. Vice Admiral Girish Luthra, FOC-in-C, Western Naval Command inaugurated the facility at the official opening ceremony. The facility was contracted by the Indian Ministry of Defence to increase the operational availability of the Indian SSK submarines. With state-of-the-art Reference Test Units, an Electronic Workshop and a Pressure Test Unit amongst other special equipment, the facility will augment the Indian Navy’s capability to undertake indigenous repairs of the periscopes fitted on board their submarines. “When a product requires service and repair, a lot of time is lost during the transportation between the Indian Navy and the OEM. Now the maintenance work can be done locally, which will speed up the process and enhance the operational readiness of the Indian fleet”, said Klaus Rettenmaier, Director Product Line Naval at HENSOLDT Optronics. The establishment of the periscope workshop and the training of maintenance technicians from the Indian Navy are a continuation of the core business of the Optronics business line of HENSOLDT. Based on the enormous success in the field of periscopes and optronic mast systems in past years, this is a first step in India in establishing a service capability for future naval opportunities. In the implementation, HENSOLDT partnered with local Tata Consultancy Services and H&H Precision Pvt Ltd. Overall, there is a trend in submarine markets for local maintenance authorities to strengthen the operational availability of the systems. HENSOLDT has previously established periscope workshops for several other countries. https://twitter.com/indiandefence11/sta ... 2702746624 ---> Indian Navy Commander looking through a HENSOLDT SERO 400 periscope on a Shishumar-class submarine. Indian Navy procured OMS-100/110 optronic mast and the SERO-400 direct view periscope for its Shishumar-class through a mid-life refit. 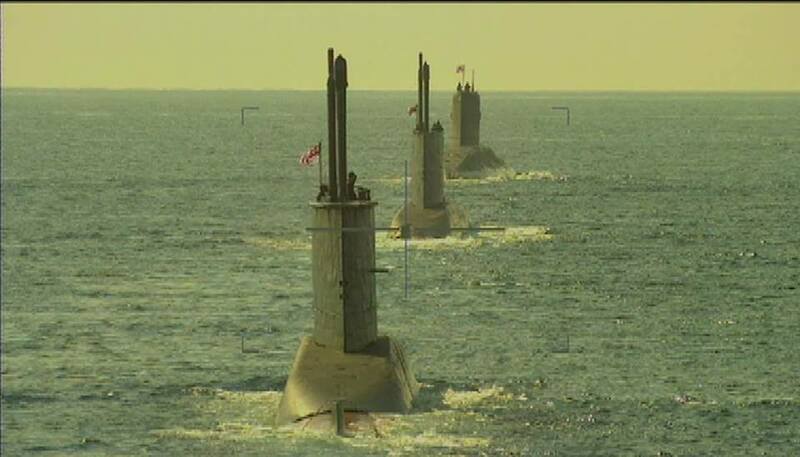 https://twitter.com/indiandefence11/sta ... 2702746624 ---> Two Indian Navy Shishumar class diesel electric attack submarines and a Sindhughosh Class submarine as seen from a HENSOLDT OMS 110 Digital Periscope of INS Shankul (Shishumar Class). In the article, click on the printer icon a separate tab will open, click the cancel button and then copy the info to be pasted on the forum. Thank You Saar. I will do that at home. Usually, I am adding articles at work on my tablet. All pictures below are courtesy of Delhi Defence Review. IDRW, please have some shame! Click on link and read the article. Lots of nice info. Image: Visual from the October 2018 trials. Image: More visuals from the underwater mating operation. Image: Crew transfer underway after the successful mating operation. 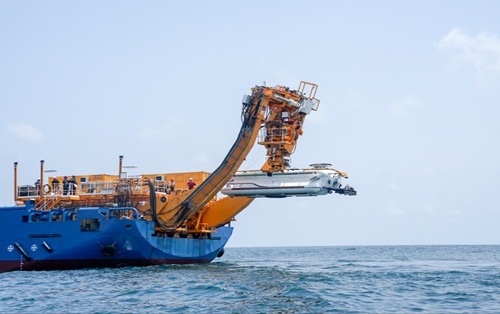 Indian Navy augments submarine rescue capability. The Indian Navy's submarine rescue capability got a boost with the successful completion of trials of the newly-inducted deep submergence rescue vehicle (DSRV). The Western Naval Command has successfully concluded maiden trials of its Deep Submergence Rescue Vehicle (DSRV), ushering in a niche capability to the Indian Navy. On 15 Oct 2018, The DSRV carried out the first under water mating with a bottomed submarine, at a depth of over 300 feet. On successful mating, the DSRV opened its hatches and the submarine hatches and carried out transfer of personnel from the submarine to the DSRV. The sea trials have proven the ability of the newly inducted DSRV to undertake rescue operations from disabled submarines at sea and has provided the Indian Navy with a critical capability,. Says a defence ministry release. During the trials the DSRV also dived successfully up to 666 metres. This is a record for deepest submergence by a ‘manned vessel’ in Indian waters. The DSRV crew has also carried out ROV operations at over 750 metres and Side Scan Sonar operations at over 650 metres, which are all ‘firsts’ for the Indian Navy. The ongoing trials will also include air transportation of the system by IAF’s heavy-lift transport aircraft. Completion of the trials will put the Indian Navy into a small league of world navies that have integral submarine rescue capability. from what depth can the escape sphere of the U209 class rise? it can take the whole crew in one shot. the Akulas also allegedly have something inside the sail? how does the DSRV/bathyspheres work @ 650m or even deeper with flimsy looking frame and glass portholes when real submarines dhoti shiver at such depths and max operating depth is usually only 400m using the best possible "HY100" steel? Anant wrote: They look like my crocs It's always cool to see what the Indian armed forces are up to. These guys and gals are motivated, competent and humble. Great job! Only the most stable and cool heads are selected for submarine cadre. Any non compliant minds are deselected early on in the process. Dont they have to volunteer? Singha wrote: how does the DSRV/bathyspheres work @ 650m or even deeper with flimsy looking frame and glass portholes when real submarines dhoti shiver at such depths and max operating depth is usually only 400m using the best possible "HY100" steel? the elusive escape pod on U209, its USP among SSK for long, is not shown though as its Kilo class in the series. New Delhi: The Indian Navy’s submarine crew got a $600 million Dussehra gift from Russia – machines called ‘Moisture Separator Reheaters’ (MSRs) that will make their life under water easier.The MSRs will be particularly useful for the nuclear submarines India is building and the deal with Russia is an indicator that New Delhi is steadfast in its commitment to the project to build nuclear subs, sources said.Nuclear power enables submarines to be under water for up to two months without having to surface. But submariners, the men manning the boat, need the oxygen from air.The moisture that builds up in the humid, enclosed space in the submarine underwater absorbs oxygen and makes it difficult for crew to breathe and function effectively.MSRs insulate compartments in a submarine from water vapour and make it easier for crew to breathe and function better.The MSRs Russia began shipping to India Friday will be stored at the Kudankulam nuclear power plant in Tamil Nadu, the sources said.India has one nuclear submarine, the INS Arihant, launched in 2009, and is building five more at the Ship Building Centre (SBC) in Visakhapatnam under the nuclear submarine programme that began in 1974.The second in the series was initially named Aridaman but it was changed to Arighat. These are probably Fait accompli to the S 400 deal or is it just sensationalist journalism, as per this and many online reports this is the 4th MSR shipped to Kudankulam related to Nuclear reactors for power generation and BHEL also manufacturers MSR's. Atomenergomash, a machine-building division of Russia’s Rosatom State Atomic Energy Corporation, manufactured and shipped out a set of equipment for Unit-4 of the Kudankulam Nuclear Power Plant (KNPP) being set up in Tuticorin district of Tamil Nadu. 'Totally, there will be four sets of Moisture Separator Reheaters, two sets have already been shipped'', it said. Having a life span of 30 years, the Moisture Separator Reheaters, manufactured by ZiO-Podolsk, a subsidiary of Atomenergomash, were designed to remove water condensed from the process stream to maximize thermal efficiency and reliability of the low pressure turbine. The weight of the separators was 47 tonnes. SO the question is are these MSR's just for power generation or as "THE PRINT" claims related to Indian Nuke subs?